One of the world's tiniest lizards has been discovered by keen-eyed researchers in Madagascar. 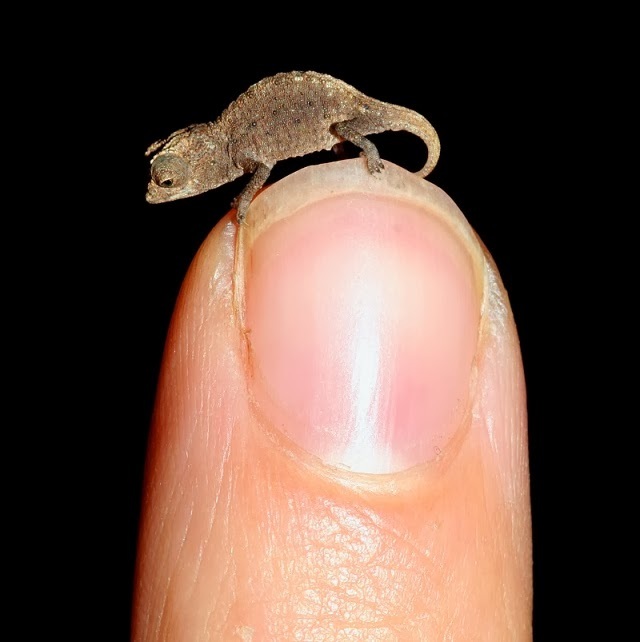 The miniature chameleon, Brookesia micra, reaches a maximum length of just 29mm. German scientists also found a further three new species in the north of the island. The lizards were limited to very small ranges and scientists are concerned they could be at risk from habitat disturbance. The discovery is reported in the journal PLoS ONE. The research team, led by Dr Frank Glaw from the Zoologische Staatssammlung in Munich, have a specialist knowledge of Madagascar's dwarf chameleons having described other species in the past. They conducted fieldwork at night during the wet season in order to find the easily overlooked animals. "They mostly live in the leaf litter in the day... But at night they climb up and then you can spot them," said Dr Glaw, explaining that the animals moved up into branches to sleep. The scientists carefully scanned the most likely habitats with torches and headlamps to find roosting sites. They found the smallest species on a remote limestone islet and believe it may represent an extreme case of island dwarfism. This phenomenon occurs when a species becomes smaller over evolutionary time in order to adapt to a restricted habitat such as an island. According to Dr Glaw there could have been a "two-island effect" in the case of B. micra. 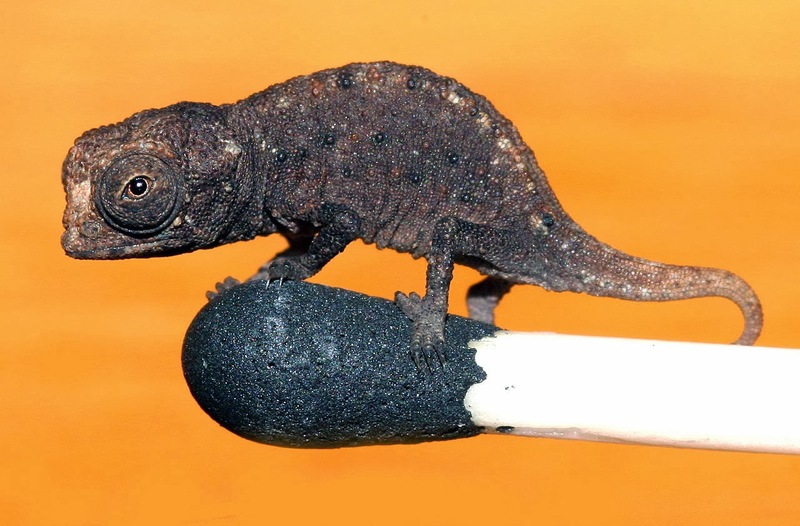 "It is possible that the big island of Madagascar has produced the general group of dwarf chameleons and the very small island has produced the tiny species," he told BBC Nature. Because the chameleons looked similar in appearance, researchers conducted a genetic analysis to confirm that they were indeed four distinct species. The genetic differences between the species were described as "remarkable" by team member Miguel Vences from the Technical University of Braunschweig, Germany. "This indicates that they separated from each other millions of years ago - even earlier than many other chameleon species," he said. Each of the new species was restricted to a very small territory, just a single square kilometre for the smallest. "In Madagascar many species are restricted to small habitats and that makes it important to conserve them" said Dr Glaw. Scientists believe the small ranges of the species make them especially sensitive to habitat disturbance. B. tristis, named after the French word "triste" meaning sad, was found in an isolated patch of forest close to an expanding city. The team chose thought-provoking names as an expression of their concern for the future of the island's micro-endemic species.